Home Dumpster Rental News What You Don’t Know About Russia! Russia didn’t consider beer to be an alcohol until 2011. It was thought of as a soft drink. It is considered wimpy to lower the ear flaps on your fur hat unless temps drop below -20. For one reason or another, Russia seems to draw the eyes of the world. Through the good and the bad times in history, Russia has remained one of the most intriguing countries on Earth. With a very tumultuous and colorful past, this proud nation boasts some impressive feats and historical mysteries. From it’s greatest museum – The Hermitage in St. Petersburg – having around 70 cats guarding its treasures from mice to the padlock trees of Moscow where couples hang padlocks from the branches to prove their love, Russia certainly has a side to her that we haven’t been properly introduced to. If you need an icebreaker – Russian legend says that Ivan the Terrible blinded the creator of St. Basil’s Cathedral so he could never build anything else that would rival its magnificence. The creator’s name was Postnik Yakovlev. Download or Print Our Weekly Calendar FREE Right Here! To see a whole different side to Russia that you never knew, check out the vid below! Which country do you think has the craziest customs or history? Walter Frederick Morrison didn’t just invent the Frisbee, his cremains were molded into a series of them that were passed out to family! The Craziest Islands on Earth! Explore tropical destinations such as Isle of the Dolls, The Island of Gas Masks, Snake Island and the Atlantic Cemetery on this Fun Fact Friday! Happy Spring! Here’s a FREE weekly calendar to help you usher in the beginning of April and use for all of your personal or business needs. 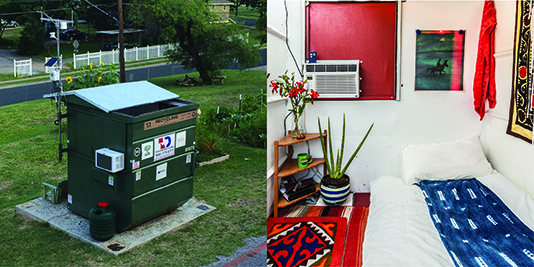 For many, the advantages of transforming a dumpster into a home are life saving and unloading heavy burdens provides a much needed relief. The TRUE Story Behind That Famous Picture! From insane asylums, secret graffiti and melted cheese, Fun Fact Friday explores the TRUE stories behind the world’s most famous art! Where Do Appliances Go When They Die? How Do I Dispose Of My Old Fridge? Many old appliances play host to numerous hazardous materials so you need to know how to responsibly recycle them to reduce risk of injury and destruction. A free weekly calendar that you can download, print and use. The Same Day Dumpsters Weekly Calendar for the third week of February that you can download, print and use for your personal and business needs. A free calendar for the second week of February that you can use for all of your personal and business needs. The Same Day Dumpsters Weekly Calendar for the second week of April that you can download and use for all of your needs.